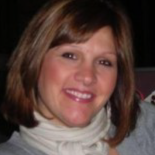 Erika Brason used to be my cubicle neighbor when we were both at Channel 2! She is so sweet and funny! 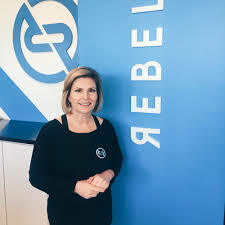 She left the business a while ago and now has opened up her own indoor cycling studio. She was nice enough to do a Spotlight Interview with me – and fill me in on how she’s been, what she’s up to, and of course – what makes her Totally Buffalo. Q: I am so happy for you and your new endeavor! Tell us about your new business!! A: Thanks Mary! 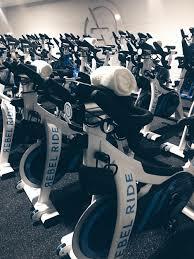 Rebel Ride is a boutique indoor cycling & strength studio that is the first of its kind in WNY. We offer an immersive, sensory experience in our cycle theater, which has a sophisticated lighting and sound system and 33 Stages bikes. Our instructors went through months of extensive training to elevate their skills to become the best they can be. Our Studio B offers TRX and In-Trinity classes. In-Trinity is a mix of yoga, pilates and martial arts performed on an inclined board. We are the first to offer this practice in WNY. Some people ask if we are a franchise, and the answer is no. I created this brand from scratch and hope to open other locations at some point. We are also in the process of trademarking the brand. Q: What made you decide to open this amazing gym? A: I was reintroduced to indoor cycling when my daughter went to college in DC, where there are numerous boutique cycling studios that offer amazing classes and a much different experience from what I had ever known before. I was so intrigued by the concept and it was the right time in my life to embark on a new challenge. Q: How are you doing balancing being a business owner and raising two kids? A: Both of my kids are now in college, so I suddenly had the time to refocus and do something new with my life. Q: Do you miss your days of broadcast news? A: Sometimes! I always loved being in the news business, but it can wear you down. Starting a business has been liberating and extremely challenging, but also incredibly rewarding to see people enjoying our studio. Q: What do you miss most and least?! A: I miss the creative process of reporting and putting stories together every day. I always liked that you never knew what you might be doing, so it never got old and always kept you on your toes. I don’t miss the long hours, early mornings and late nights! However, I’m now in a business that operates early mornings and evenings, so here I go again! Q: What is the craziest thing that ever happened to you on live television? A: I always remember the technical difficulties that forced us to “wing it” when we couldn’t communicate with the station or weather interfered with our location or getting a signal to broadcast. Everything was always down to the wire to make it work. These things happened more often than viewers would ever know! Q: What do you think about how much Buffalo has changed over the past few years? A: Wow, that is so true! It’s so refreshing and I’m so proud to be bringing something to the area that has become common in many other cities. I love seeing the growth and expansion downtown, which ultimately helps small businesses like ours. Q: What have you been up to since leaving the business? A: I had a clothing business for about 5 years, but I’ve been working on Rebel Ride for about 2 years, so that has definitely kept me busy! Q: I know giving back to the community is important to you – we’ve been at Response to Love Center together in the past – why is it important for you to give back and to teach your kids the importance of it all? A: My studio is uniquely positioned to provide a fun and healthy way to bring people together to raise money for charitable causes. We created “Rebels with a Cause” as a way to hold charity rides and other functions for various organizations. For our grand opening, we held a raffle and sold t-shirts for Roswell and also offered a donation based ride to recognize breast cancer awareness month. Any charitable organization can hold a ride at our studio and basically sell spots in the class for any dollar amount. For example, an organization can sell 33 seats for $50 each and make $1650 for a 50 minute class. It’s a really unique way to raise money. Even though my kids are in college, I hope they are proud of their mom and see that it’s never too late to do something new and give back. A: Everything! I’m a Buffalo native and our community of riders, which continues to grow, also cares about our mission and our city. Because we are a small, customer service driven studio, we already see the connections building along with the mutual desire to see this region thrive. It starts with a desire to have a great workout in a unique environment, but develops into a much more meaningful experience because we strive to be welcoming and inclusive, which is totally Buffalo. Good luck at what looks like an amazing place, Erika!!! A wonderful Idea – where located? – I would like to give it a try – etc.